A fuel pump is one of those parts in a vehicle that you normally do not think about until it suddenly comes to you in the middle of nowhere. The fuel pump is in charge of pumping fuel from a vehicle from the tank to the engine and a failure of the same can be disastrous. Most cars now use an electronic fuel pump that is located in the gas tank. The electronic system works by spraying a fine spray of fuel into the engine chambers and is operated via a computer operating system. The fuel pump has two goals, namely pushing fuel from the gas tank to the fuel injector and creating the right amount of pressure to ensure that the right amount of fuel is supplied to the engine, regardless of external conditions. in the fuel pump, which ultimately lead to failure of the fuel pump. 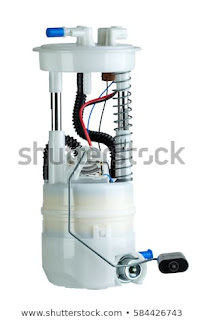 Replacing the fuel filter will occasionally reduce the wear on the fuel pump, leaving it for a long time. Always make sure you buy your fuel at reputable gas stations to avoid adulterated fuel. Purchasing a good fuel can save the fuel pump from damage. When the fuel is pumped into the tanks, the debris in the tanks is stirred, and if you fill up with fuel at that point in time, that waste ends up in your fuel tank. This leads to clogging of the fuel filter and eventually to the failure of your fuel pump. Sometimes we just forget to fill up the tank, but there are people who are notorious in driving while displaying on E. What many do not realize is that they are slowly killing their fuel pump. When the pump pushes the fuel to the engine and the excess fuel is returned to the fuel tank, the fuel components and fuel in the tank are cooled. In a situation where there is little fuel in the tank, the fuel heats up much faster, resulting in overheating of the fuel tank. If this happens for an extended period of time, the pump may fail. When replacing a fuel pump, it is important to remove all parts from the bottom of your gas tank and to ensure that no dirt gets into the fuel pump while you reinstall the fuel delivery unit. There is no point leaving dirt in the tank, which can eventually lead to another failure.